Miss Houston is our librarian and technology teacher for the entire school. She also teaches seventh grade Pre-Algebra and eighth grade Algebra. Below, she will be posting “quick links” for classes to retrieve and classroom highlights! Feel free to email her at sfslibrary@atlanticbbn.net. Upcoming Events: April 18, 2018 @ 6: Bingo for Books- a school wide event that promotes reading. Play bingo to win books and other prizes. April 19, 2018: Mr. Matt Novak is coming to our school for assemblies! Our school will be celebrating Earth Day in a few weeks. To prepare, fifth grade is studying the 2017 International Coastal Cleanup Report. This report is full of eye opening facts that show the devastating impacts that trash has on our oceans. We will be taking some of the statistics from the report and working in excel to make an advanced table. From our table, we will be creating a doughnut chart to show the different types of trashed that was picked up and the amount of each. This week, third grade will be participating in an “Hour of Code” challenge. Students will play an adventure game while learning all about loops, conditionals and the fundamentals of code. Feel free to try it out for yourself. Click on the link above. This project involves art, math and technology! Students will create original artwork and then use their art to create fractions, decimals and then turn it into a percent. This is an engaging project that ties directly into our math curriculum at Saint Francis. Tied to this project, we will also be doing a “Skittles, Skittles Everywhere” lab in our math classes. In second grade, we have been working on our typing and Microsoft Word skills. The link above allows students to download and practice rearranging the page to match words with an opposite picture. Students must practice using the tools cut and paste. Once studnts finish the first task, they will be asked to created their own list of opposites and change the font style, font size, and font color. The past two weeks have been full of wonderful new activities and projects! I started “Teach Your Monster to Read” with kindergarten and first grade. This is a program that allows students to work on reading skills based on their individual reading levels. I share the results with classroom teachers so they can see exactly where students are strong and weak. This is an amazing and entertaining site for students to learn phonic sounds and practice reading. 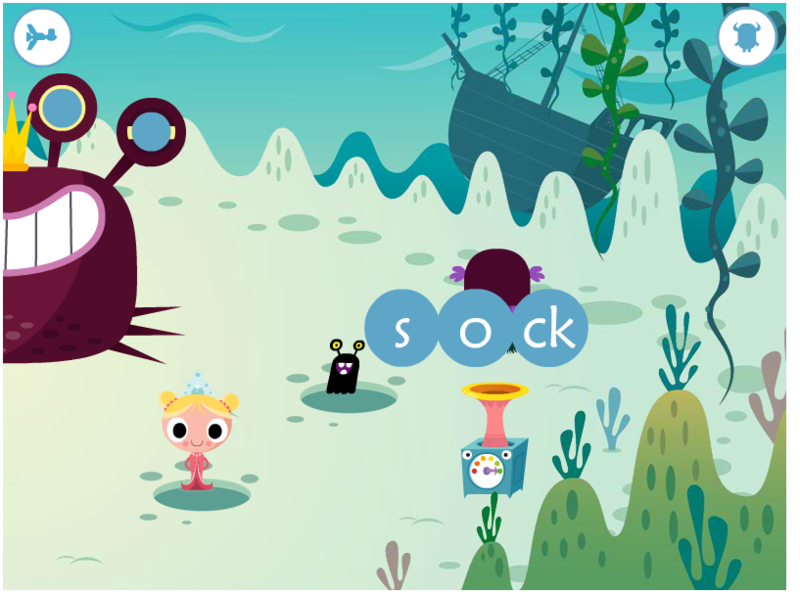 The game begins with students designing a monster to take it on an adventure around a magic area to find the letter sounds and words to fix a spaceship. The storyline is wonderful and the activities are educational and motivational. 4th grade completed the My Robotic Friend Cup Stacking Challenge. The students learned the symbols to go along with the arm movements of this challenge. One group member was the “robot”, and the other group members created a code for the robot to follow to see if they could stack the cups as they planned. This unplugged challenge allowed students to understand the basic symbols behind coding. We also started online, computer coding. In fifth and sixth grade, we completed a few unplugged coding activities to prepare us for advanced online coding courses. The first activity focused on using algorithms and programs with a pencil, paper, a 4 by 4 grid, and symbols. Students coded mystery patterns for other groups to code. In another activity, each group was given limited resources of gumdrops, toothpicks, and popsicle sticks. Each group had to build a foundation that was taller than a cup and could hold a heavy book. The lesson focused on the terms frustration and persistence. Each group pushed through for successful results.